Tales From The Game Grid #7 | The Arcade Archives! This comic is dedicated to Ladybug: Thank you for being a Great friend and a wonderful encouragement! 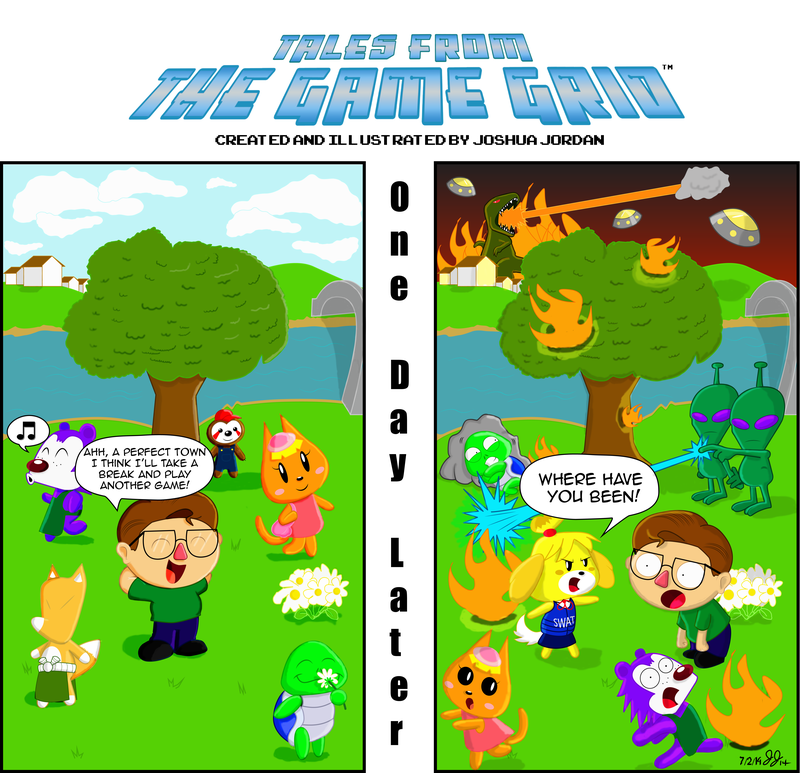 We have finally hit over 50 likes on the fan page facebook.com/talesfromthegamegrid but now it’s on to 100. So we want you to share this comic with your friends, family, and any one who might enjoy video games. Also we need feed back we don’t know how we’re doing unless we get some feed back. Good or bad it doesn’t matter we want to keep improving for you so please leave some comments. We also have a email address now talesfromthegamegrid@gmail.com If you have any comments on the comics or Fan Art please send to this email. If you send Fan Art we might put it on the Facebook page. This entry was posted in Archive Entries, Tales From the Game Grid, Webcomics and tagged #ACNL, #animalcrossing, #talesfromthegamegrid by ubernerd527. Bookmark the permalink.